Whether you're arranging a corporate awards event, a small scale private party or are looking for professional support in one or two areas as part of a much larger event then Mosaic FX Productions can assist, having worked in the live events business now for 20 years, there's not many events or situations that we haven't encountered and successfully worked on ! For the last 10 years we have also been a key supplier of power & electrical distribution at major events, such as The Silverstone Grand Prix & V, Rewind festivals and CarFest. 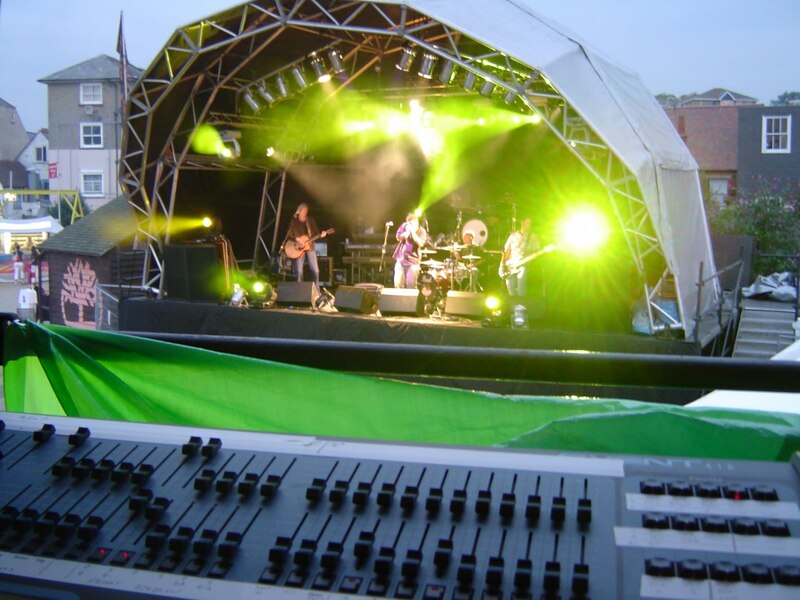 From our Hertfordshire base we have good stocks of stage decks, the latest generic & moving lights, Plasma screens, mains cabling & distro panels of all shapes & sizes to successfully fulfil any brief. We also have a variety of Professional PA systems and if required fully trained technical crew to set up and / or operate the same. We are very proud to have amongst our regular client base English Heritage, Aston Martin, & various universities, along with wedding & party event organisers plus stately homes such as Brocket Hall, Hitchin Priory & Wrest Park . 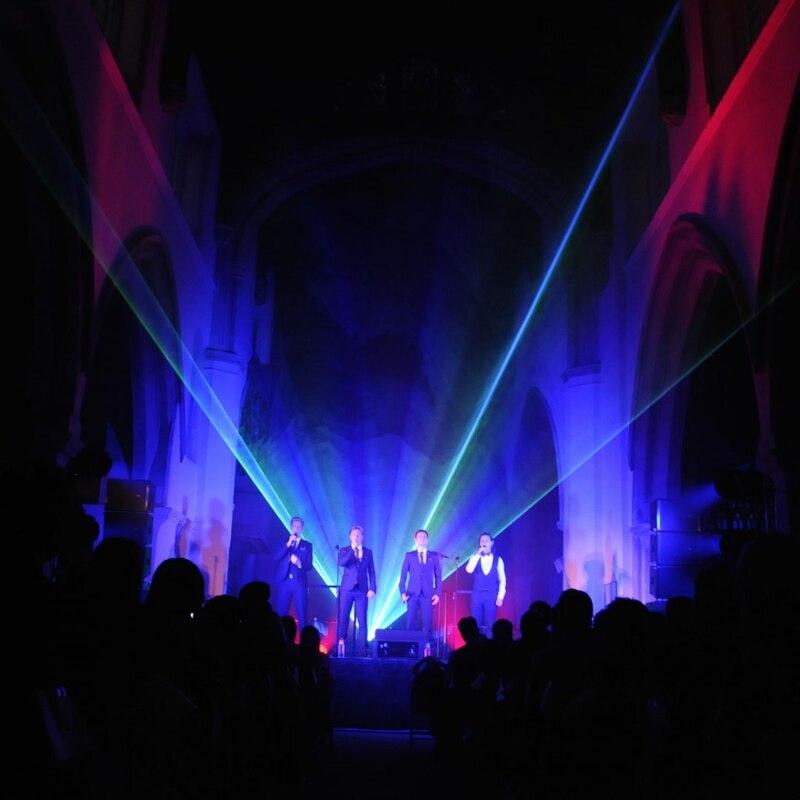 Mosaic FX Productions offer a full dry hire service along with regularly working on fully serviced live events all over the UK, The Middle East & throughout Europe. We regularly get to work on events both large and small in marquees, private houses as well as most of the major hotels, from The Dorchester to The Celtic Manor, with pretty much everything in between ! Amongst our regular crew, most of whom are first aid trained (always useful - rarely used) are members of the British Pyrotechnics Assoc, The Production Services Assoc, and The Institution of Engineering and Technology - so we are well up to speed on ALL of the latest CDM and event electrical wiring regulations and regularly have crew on courses with the major sound and lighting manufacturers. In our book there is no such thing as a stupid question, just questions you don't know the answer to yet ! 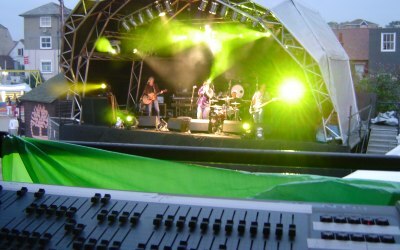 We regularly supply the electrical infrastructure for the Rolls Royce owners club annual weekend show, closely followed by the main stage lighting rig at Santa Pod raceway's Bug Jam festival for 30K plus guests & a major awards show for a local university with 10 plasma screens & a full live camera / Keynote broadcast mix, catwalk fashion shows with a simple lighting rig and top quality sound system. We recently worked on the UK launch of the latest Aston Martin DB10 and DB11's in a range of venues, to some stunning lighting in a 300 year old wedding venue for a wedding coordinator and 300 power points for a major university's freshers week fair - all from stock, on time & on budget ! On needing a flexible modular stage for a ceilidh band at a party Mosaic FX provided professional and friendly advice and service. Communication was efficient and clear so no misunderstandings or mistakes. The stage was delivered / removed to and from venue in a timely good humoured and professional manner. 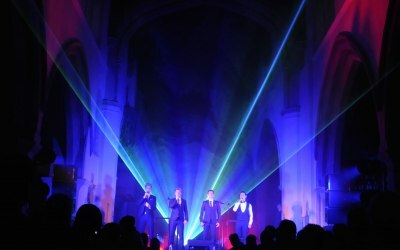 FX offered the fastest and best quote out of 4, so I was very happy with their service and would recommend them to anyone in need of a stage for their event. Thank you Mike! Service was great and everything ran smoothly. Would use this supplier again. Brilliant service! Quick and efficient! Efficient set up and take down. Mike was quick at replying and answered all my questions before sending a quote and invoice. I will not hesitate to recommend Mosaic FX to anyone! Get quotes from Mosaic FX Productions and others within hours.